book easy for young readers to understand and enjoy. 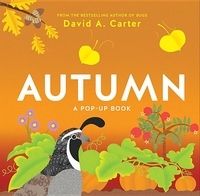 David A. Carter is an American author and illustrator. He is best known for his pop-up books for both children and adults. David Carter's Bugs series has sold more than six million copies. He lives in Auburn, California. Visit Carter at cartermultimedia.us.com.